WOLVES IN THE THRONE ROOM are from Washington state and were formed by brothers Nathan (guitar,vocals) and Aaron Weaver (drums) and Rick Dahlin (guitar).The band self-released two demos in 2004 and 2005 before releasing their debut,"Diadem of 12 Stars" in 2006. 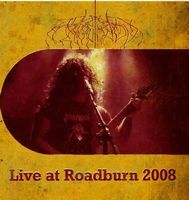 "Diadem of 12 Stars" was critically acclaimed and heavily praised throughout the metal underground community and WOLVES IN THE THRONE ROOM signed to Southern Lord Records. The band released their second album "Two Hunters" in 2007. "Two Hunters" was recorded on tape.The process of the recording was very organic with very minimal use of any digital effects or manipulation. Even though WOLVES IN THE THRONE ROOM'S music is deeply rooted in the traditions of black metal,they blend their music with elements of raw black metal,punk,folk and progressive rock and metal,subverting the common aesthetic and ideology in order to remain true to their own personal manifestations.Their willingness to experiment with unconventional methods of recording and collaborate with avant-garde musicians sets them apart from most of the bands in this genre.This willingness to take chances and forge ahead with total disregard of convention or boundaries makes them a perfect fit for Tech/Extreme Prog Metal and they are HIGHLY recommended. A return to their black metal roots, with more ambience and soft passages. With this album WitTR overall leave behind sound on their last album Celestite and return to their black metal roots, albeit with softer sections, more synths, more ambience and guest musicians. The production seems clearer than on earlier albums and the singing seems less buried in the mix. The black metal is as atmospheric, raw and good as ever and the softer passages add some variance to the sound, which is half of a good thing. Unfortunately, the ambient noises don't always add much to the songs in my opinion. I could very well do without nearly two minutes of sea noises at the end of Fires Roar in the Palace of the Moon and I understand them to be just one very long outro. The transitions between metal and ambient passages don't seem to work very well. Rather, transitions seem to be missing and they often just play metal passages and ambient passages after each other. This can make the songs seem disconnected. As far as variance and transitions go, the pagan folk passages integrated into the black metal work much better, in my opinion. There are also more synth touches than on earlier albums, a fact that I also quite like. The added variance in singing, with some clear (guest) vocals works very well. In the Old Ones Are With Us these three things are added to the WitTR sound to great effect. This is a strong album that I don't find quite as exciting as their run from Two Hunters to Celestial Lineage. As such it gets a good but non-essential rating from me. Maybe this sound and style just worked better 10 years ago, as black metal has been quite thoroughly explored in the meantime. On their third album Wolves In the Throne Room lean much more towards a purely metal direction, with the peaceful expanses of shoegaze-dominated playing that were a major feature of Two Hunters scaled back dramatically. However, Black Cascade is far from being a mere retread of Diadem of 12 Stars; the band both incorporate the lessons they learned making Two Hunters into their vicious black metal assault, and also benefit from substantially improved production values. The end result is an album which takes the metal-dominated side of the band's sound to a new level of accomplishment and complexity, and a great listen for any fan of atmospheric and progressive black metal. On Wolves In the Throne Room's second album the group amp up the shoegaze elements in their sound - check out opening number Dea Artio, in which their buzzling wall-of-guitars sound is more reminiscent of the gentle textures of Loveless-era My Bloody Valentine than the harsh, abrasive sonic universe of Burzum. Of course, things soon get a bit more varied and the Wolves do show their fangs on occasion, but equally there's also moments of gentleness spread out here, particularly when Jessica Kinney's vocals come into the equation. On the whole, Celestial Lineage takes the innovations of this album and ramps them up to the next level to a sufficient extent to leave Two Hunters in its dust, but taken on its own Two Hunters is still a very credible artistic statement. 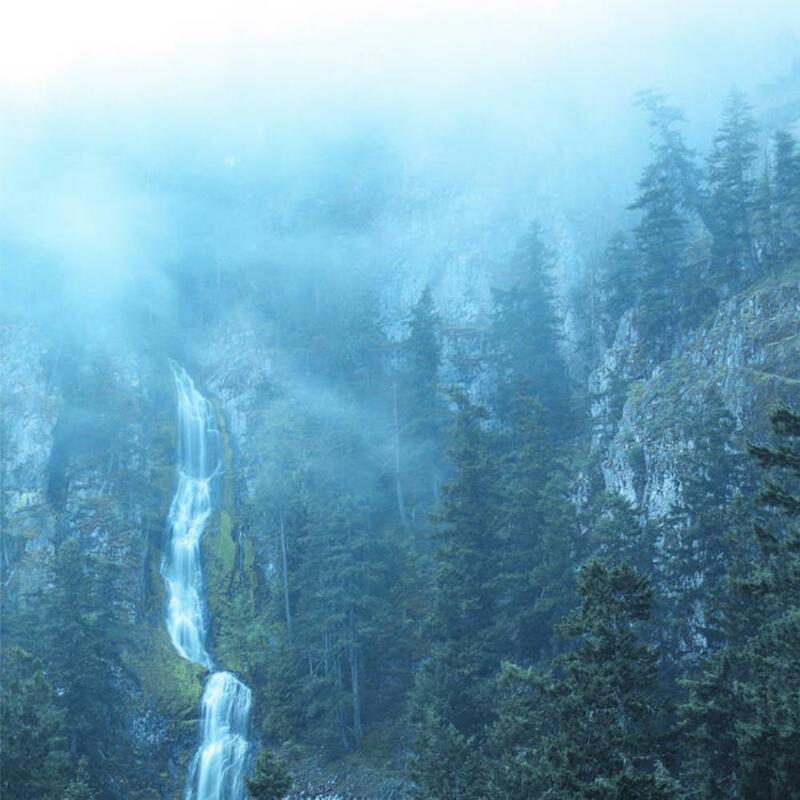 The debut album by Wolves In the Throne Room might not be quite as startlingly different as the likes of, say, Celestial Lineage, but the seeds of their more original sound were sown here. Focusing exclusively on longer compositions, the band alternate between faster playing and slower, doomier sections, with a few hints of the complex compositional techniques of post- metal creeping in here and there, and on the whole the band have already done a good job of distinguishing themselves from Burzum, their primary musical influence. Although the band would go onto substantially greater things, this is the solid foundation on which their subsequent work is built. 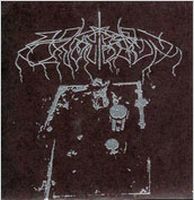 "Celestial Lineage" is the 4th full-length studio album by US black metal act Wolves in the Throne Room. 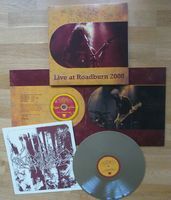 The album was released through Southern Lord Records in September 2011. 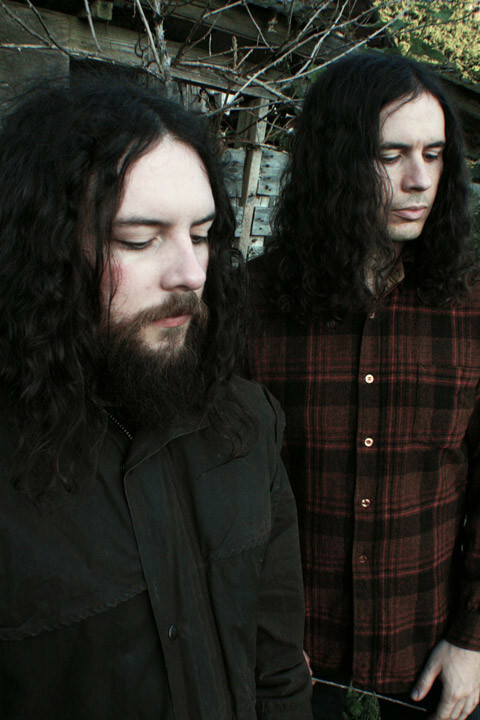 Wolves in the Throne Room consists of the two brothers Aaron Weaver (Drums, Synth) and Nathan Weaver (Guitars, Vocals) and are widely regarded as one of the leaders of the atmospheric US black metal scene. 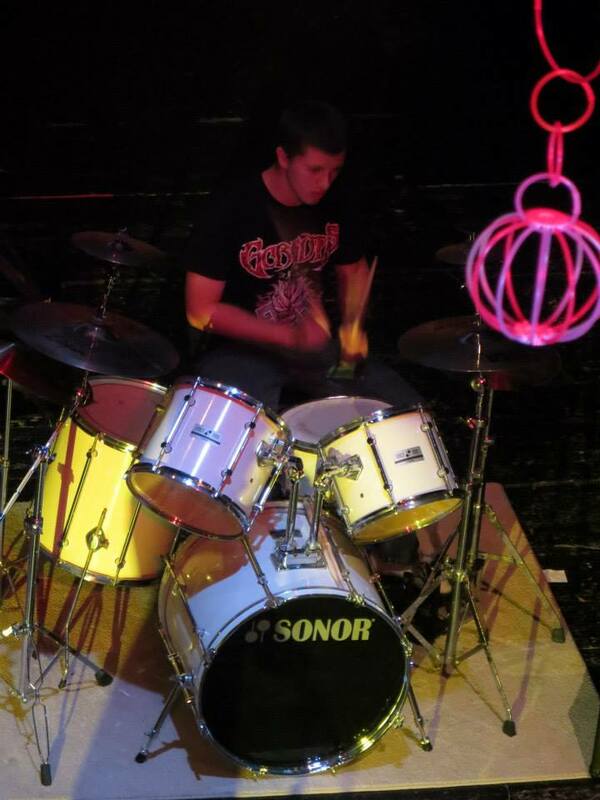 The music on the album is atmospheric black metal with harsh raspy vocals (and occasional female vocals by Jessika Kenney) and nature based lyrical themes. The album features seven tracks. Two are shorter instrumentals but most of the other tracks are pretty long with three of them hitting the 10 minute mark. The tracks are adventurous and epic sounding with grand walls of synths and guitars. The band successfully vary pace and dynamics throughout the album making "Celestial Lineage" an album with a nice flow and also an album where my attention never wanders. Add to that a powerful and detailed sound production and we have a quality product and a 4 star (80%) rating is fully deserved. "Diadem In 12 Stars" has interesting traits and promises great things for Wolves In the Throne Room. American Black Metal for some is just a joke. That is, for the Black Metal (pretentious) purists. But Wolves In The Throne Room prove how these people are wrong. 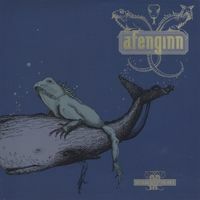 Their debut album was "Diadem In 12 Stars", an album that shows the uniqueness of the band and how, even though not having extremely solid roots in the Scandinavian scene, they are credible, and loyal to the genre. Even from the start, WITTR have received attention because of their sound: this debut album of theirs distances itself from the more traditional side of BM, incorporating different styles and making them mesh one another: there are a great amount of shoegazey guitars, female clean vocals, audible melodies, atmospheric acoustic passages, and quite a bit of dynamicity. Their music is hypnotic but not repetitive, complex but easy to follow. 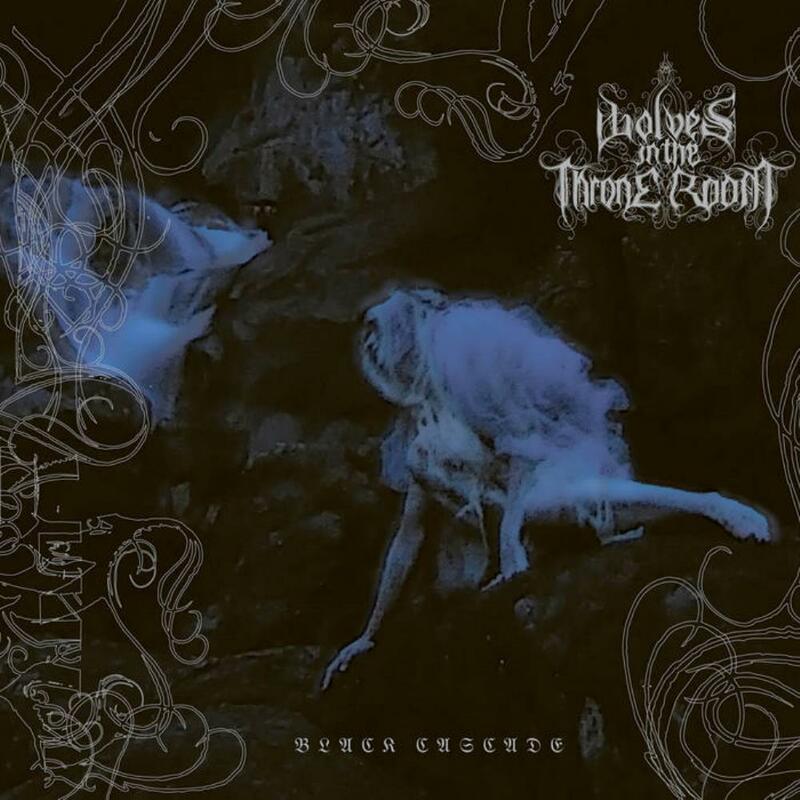 The richness of the textures, the variety, and the carefully structured songs make Wolves a much more progressive influenced band in comparisons with other Atmospheric Black Metal bands like Burzum or early Ulver, also because of the unusually different rhythms, more syncopated and elaborate than the stale ones of the more traditional bands. "Diadem in 12 Stars" is one of those albums whose cover perfectly reflects the music of the album: with a cascade surrounded by trees and by fog, it brings the listener right in front of that spectacle: in the more hypnotic moments, one finds himself directly underneath the cascade, bathed by ethereal, silvery water that falls either smoothly or harshly. There is in fact a strong feeling of ethereal, dreamy nature in the compositions and in the lyrics, that echoes throughout the entire album. With only four tracks and an hour worth of length, "Diadem In 12 Stars" is an extremely consistent album in terms of structure: it's biggest gripe is the fact that these songs are made out of the same ingredients, and the resulting cake tastes the same. Even though the variation is of course undeniable within the songs, there is no variation from track to track, and the formulas are just repeated again, becoming a little stale when reaching to an end to this LP. The songs, studied individually, are all good, pretty entertaining (even though some moments feel simply passive and not as engaging as they should), and well planned. It seems though that the album as a whole does not feel like that as much. 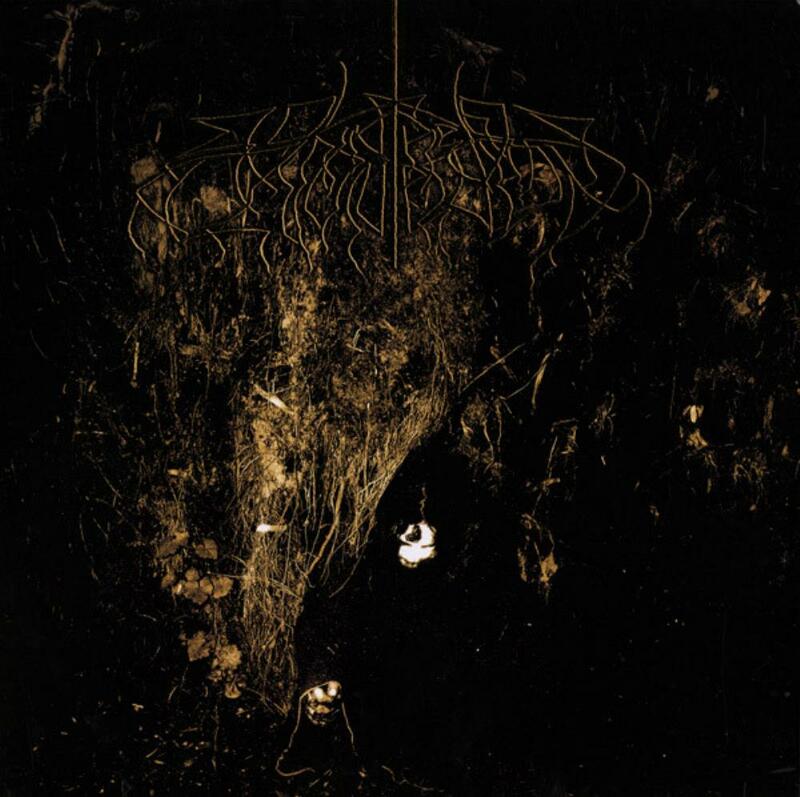 "Diadem In 12 Stars" is a decent start-off point for Wolves in The Throne Room. Already received a cult status among the lovers (non-purists) of the genre, this debut release is a promising one, and clearly the promises the band gave here came true later on in 2007 (one year later) with "Two Hunters". "Two Hunters" provides an image of the dark corners of the world. Along maybe with bands like Agalloch, Wolves In Throne Room is now one of America's most recognized Black Metal bands: in 2007, they released 'Two Hunters', so far the absolute pinnacle of their career and one of the best albums of the scene. 'Diadem in 12 Stars' was their debut album which had a very unique take on Blackgaze; the sound was very ethereal and harsh at the same time. 'Two Hunters' perfects that atmosphere by a whole lot, with much more brave, shoegazey and unearthly passages soaked in reverb, which gain a touch of beauty when female vocals, that seem to come from heaven, are added. Then we still have the grim, electric passages. But, despite the great amount of Black Metal in this release, everything sounds much more clean and less raw than in 'Diadem': the reverb is possibly the greatest reason why it doesn't feel that heavy, but it's also the fact that WITTR on this one decided to focus much more intensely on the atmosphere. The lyrics are probably the most enigmatic and fascinating aspect of the album: 'I Will Lay Down My Bones Among the Rocks And Roots' is a sort of a dying wish of the persona: he wants to be left in the woods, so that he becomes one with nature, entering, this way, into a new life. Then 'Vastness and Sorrow' is more complex: it involves a dark rider who rules the world, as he is the only living being there. The world moves to his horse's steps, as he passes through ruins of a once great civilization, a symbol of failure of mankind. 'Cleansing' seems to describe an encouragement to have a ritual act of purification through singing, in order to be saved from the dark rider, who is mentioned. With only four tracks, 'Two Hunters' provides the listener, in less than fifty minutes, a vivid image of dark, hidden corners of the world where man has not yet visited; A damp, black cave, in which there is a waterfall of the purest of waters. 'Dia Artio' is the intro the starts off this unique journey, where the reverb-soaked clean guitars set the stage. The twelve minute 'Vastness and Sorrow' is a gloomy Black Metal piece that finds no pause, no mercy, managing to be the darkest track on the album. 'Cleansing' starts off with a vein similar to the intro, but then explodes into yet another Black Metal passage. The final, eighteen minute track is home of a bunch of solid, solemn and somber riffs, occasionally purified with the watery clean moments. As the music dissolves, at the end of the album, the sound of birds comes in , giving more coherency to the lyrical concept of the song, by this point of view one of the great closers of Black Metal history. 'Two Hunters' will be remembered as a Black Metal landmark album, an album that will be, over the years. a point of reference for many bands; even today, the Blackgaze movement is, although mostly underground, increasing exponentially, and will possibly domain most of future Black Metal. When that happens, Wolves In The Throne Room have a reserved place in the Olympus of legendary Metal bands. 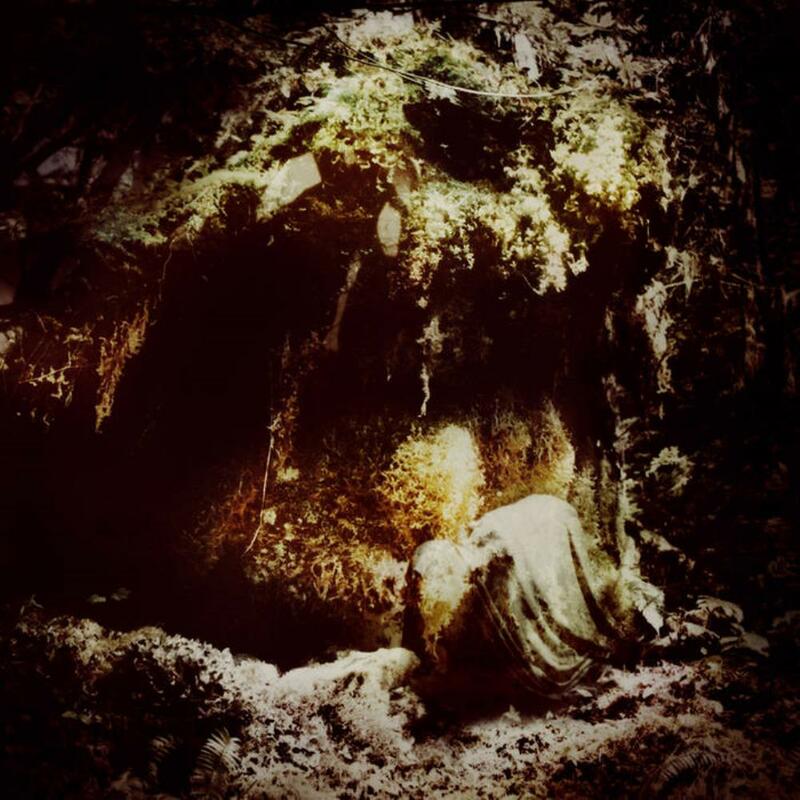 Wolves In the Throne Room's latest album expresses the band's mystical shamanic environmentalist message via a fusion of howling, furious, misanthropic black metal with spiritual, contemplative music. The Aaron Weaver's use of synthesisers in these compositions is distinct from Varg Vikernes' tinkerings in Burzum, a project whose metal side seems to have been an influence on the band (despite the Weaver brothers coming from precisely the opposite side of the political spectrum to Varg); whereas Burzum's synthesiser use drew inspiration from ambient music, here the synths are used to put the listener in mind of choirs and church organs and the like. Equally, occasional outbreaks of acoustic guitar and female vocals show a mild folk music influence on the album. 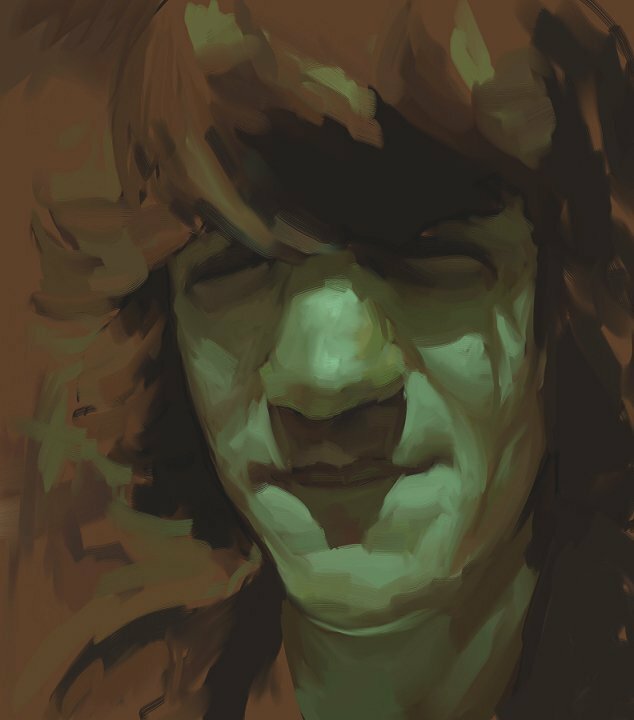 The general concept seems to be of natural wildernesses as being sacred spaces in their own right, and by and large the album is very successful at getting the idea across, with the slow closer Prayer of Transcendence somehow managing to transform black metal from a cold, angry, misanthropic hellstorm into something more contemplative and, well, transcendent. Purists may sneer, but there's little doubt in my mind that Wolves are presenting a profoundly different and novel take on the genre with this album, and it certainly inspires me to check out more of their work. Combining the musical approach of Burzum or Darkthrone with the aesthetic and spiritual stance of, say, the early Tyrannosaurus Rex albums or Devendra Banhart really shouldn't work as well as this. America has been a breeding ground for atmospheric black metal in recent years, and arguably the band at the forefront of this resurgence is Washington's Wolves In The Throne Room. The band's unique and majestic brand of black metal music has garnered quite a bit of hype in recent years, but it wasn't until the release of Celestial Lineage that I've finally had the opportunity to give these guys a shot. Right off the bat, two things are very clear about Wolves In The Room - this is a truly ambitious group of musicians and they definitely know how to craft thought provoking black metal music. Celestial Lineage is an epic, atmospheric, and majestic journey through the most chilling and beautiful compositions that modern black metal has to offer. 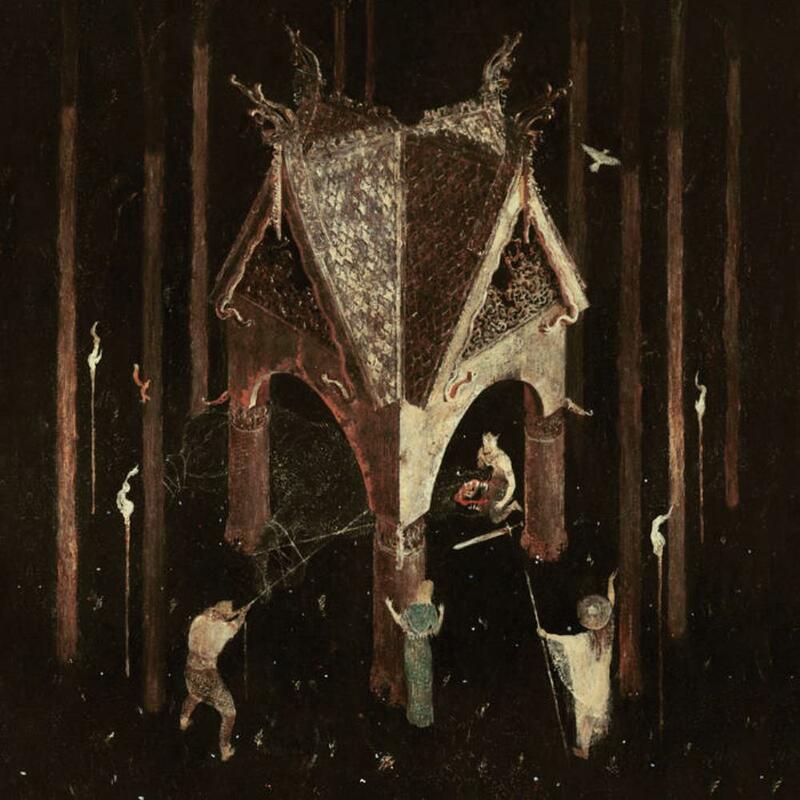 Musically, Celestial Lineage is an interesting blend of old school black metal, dark ambient, and even shoegaze with plenty of psychedelic textures and progressive nuances. Though Wolves In The Throne Room could best be described as progressive/atmospheric black metal, their sound differs tremendously from the likes of Fen, Enslaved, Shining, and other leaders of more progressive-minded black metal music. The long, brooding compositions all feature epic synthesizers, furious riffs, and tortured black metal vocals - though not every moment of Celestial Lineage is remarkable, bone-chilling tracks like 'Woodland Cathedral' send shivers up my spine every time I hear them. 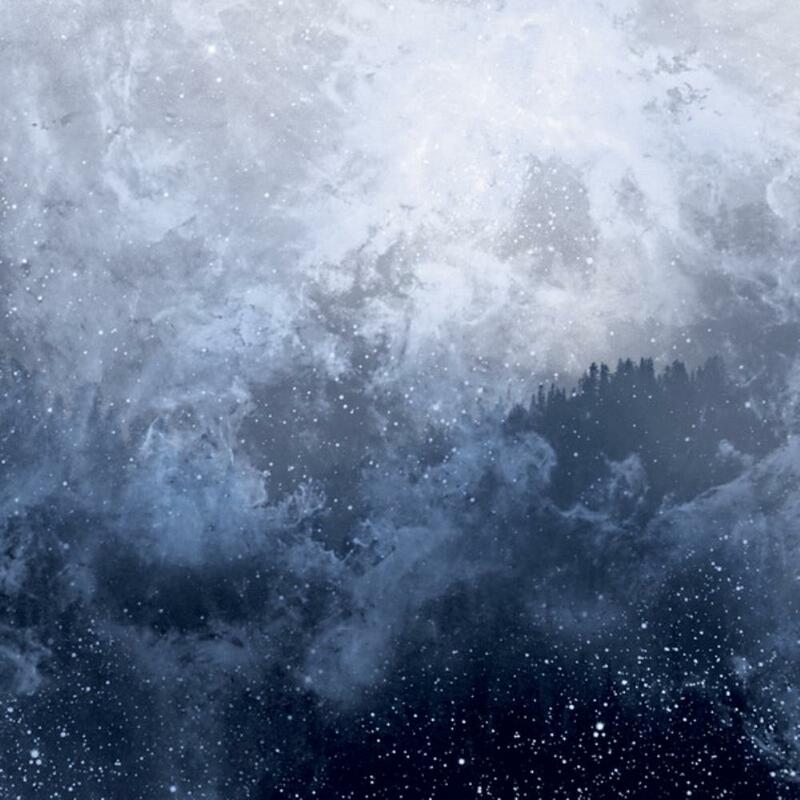 I absolutely love the epic and progressive edge that Wolves In The Throne Room gives to their raw black metal roots, and the result is nothing short of a spectacular album. Celestial Lineage is an exceptional effort from this Washington-based act, and their unique sound and gifted capabilities as songwriters is sure to impress fans of progressive-minded black metal. While I do think a few sections are drawn out a bit too long, there's hardly any weak moments at all on Celestial Lineage - I've had a great pleasure listening to this demanding and mature work of art. 4 stars are warranted for this highly recommended observation. Although the extreme and historically malefic genre of black metal has its origins largely traced back to Europe, the past decade has seen it shift to the North American continent. Among this new wave of black metal, it is possible that no band in the new scene has received as much attention from press as Olympia, Washington based act Wolves In The Throne Room. Without your typical church burnings and gruesome murders to attract attention, this collaboration between Weaver brothers Aaron and Nathan instead tries to negate the hateful agenda of their Norwegian contemporaries and aim for a self-proclaimed 'light' in their music; preaching a return to harmony and co-existence with nature, New Age paganism, and plenty of other stuff that the all-too significant hippie demographic of the black metal scene would be enthused by. On a musical level, the band has taken the roots of atmospheric black metal and put their own spin on it, one that runs parallel to, but can be distinguished somewhat from what black metal sounded like in the past. 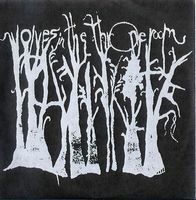 On top of their initial agenda, Wolves In The Throne Room has also changed their sound from album to album, with the debut 'Diadem Of 12 Stars' testing the waters, 'Two Hunters' taking ambitious leaps into ambient music and innovations with production, and the third record 'Black Cascade' taking a somewhat more straightforward approach to their style. 'Celestial Lineage' is the band's fourth record, and the apparent third and final album that Wolves In The Throne Room began with their second album. Although I canot call this a trump over my favourite Wolves album 'Two Hunters', this album's uncompromised return to their vast sound is exactly what I wanted from the band. Its strength as an album aside, it does feel that Wolves In The Throne Room tried a little too hard to make another 'Two Hunters' with 'Celestial Lineage', and while this is a much better decision than rehashing either of the other two, the album has a bit of a hard time reaching out from underneath its older brother's shadow. 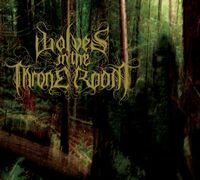 Ideally, it would have been best to hear the band taking their past sound and doing something new and adventurous with it, but who am I to say; when it all comes down to the listening experience itself, Wolves In The Throne Room have made another great album.